Are you in need of an office desk in the Tampa, Florida, area? If so, turn to the experts at Reusable Office Interiors. We can help you find the perfect desk to meet your needs. 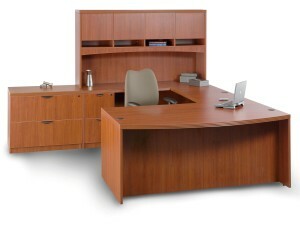 Whether you want a traditional style desk or a more modern and trendy desk set, we have what you are looking for. • Office interior design – Our experienced designer can create the design for your unique space. • Furniture delivery and installations – When you hire us for the job, you won’t have to worry about moving your new office desk into your building. Our experts handle all of the heavy lifting and set up all of your furniture for you. • Liquidation and recycling services – If you have office furniture you no longer want, we can liquidate the pieces for you or even recycle eligible items, which can result in your business receiving a tax credit. • Project management – Furnishing an office space can be a lot to deal with when you are trying to maintain your daily routine in your office. Why not let us handle all of the logistics? If you would like to learn more about the office desk selections, products, and services we offer to business owners in the Tampa, FL, area, contact Reusable Office Interiors today.